What Was Hot Online? What Have You Missed? Find Out With Rrrewind! 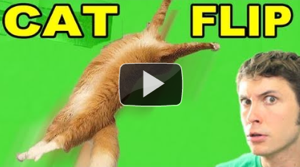 <firstimage=”//static.makeuseof.com/wp-content/uploads/2011/01/Cat-Flip-300.png”> You probably have a life. You probably have things to do offline. It’s likely that you often see awesome stuff online, but due to all that real-life stuff you do, occasionally you miss something great. But do you ever catch up? Not really. There’s always the next big thing. Next time you find yourself with an evening up your sleeve, refreshing Reddit and PopURLs with some vague hope something new will happen, you can instead catch up on all the memes you missed using Rrrewind [No Longer Available]. This will quickly become one of your favourite haunts because it is just so good at letting you browse all the popular stories on the web. Rrrewind lets you see all the popular stories on the best services on any given day. Although that sounds a lot like the PopURLs archive, it’s not exactly that. The PopURLs archive is a snapshot of the day, showing you exactly what PopURLs looked like that day. Rrrewind is more focused on the content you like best, and is far more browsable for exploring just your favourites. The services Rrrewind covers include Delicious, Digg, Hacker News, Reddit, Hulu, Yahoo Videos, YouTube, Dribbble, Flickr, Amazon and Yahoo Buzz. Rrrewind goes back as far as 2009, so there’s plenty of link goodness for you to peruse. Videos and pictures are shown as embedded media, so they’re compelling and interesting to view. How Do I Use Rrrewind? The way it works is quite simple. You click on the service you want to look at, then you browse through that service’s popular items of the day as you wish. When you’re finished, click on the big arrow on your right and it will go back a day. Repeat ad infinitum. If you want to go back further, just click on the “Archives” link in the top right. There you can choose the day you want to start on, then continue browsing normally. As you can see, this can get quite addictive. Hours of your life might get sucked into this void. But it is a great way to browse the best content so you can’t really knock it for doing that well. I’m sure there’s more that can be done with Rrrewind. More services could be added easily. I would also appreciate it if you had the ability to stay on the day you reached when you change services. But neither of these are necessary ideas and they would both detract from the simplicity of the website. The direct competitor here is PopURLs. PopURLs have a great number of services covered, going back as far as 2008. If PopURLs were to offer left/right archive navigation arrows such as the Rrrewind arrow it would be just as easy to navigate as Rrrewind. So if PopURLs were to add these arrows, Rrrewind might well fade into obscurity. In the meantime though, we can enjoy its simplicity and handy browse features. What’s your favourite way to find interesting content online? Let us know in the comments! Bonus points to the first person that says “MakeUseOf”. Worst thing if have ever heard is tick dating? I assume today there is actually a dating websites for everybody but the high-quality on it is you actually find a association with a big shot who has the same habits like you.